Think of classical Christian education not merely in terms of price and cost, but in terms of investment and value. Schools like Paideia prepare students for college – spiritually as well as academically – so K-12 tuition dollars are really an investment in your children's future well-being. An average tuition, divided over 1,300 hours of instruction across the school year, equals less than $5 per hour – less than most of us would pay for a good babysitter – so it's a wonderful value, too. We recognize that not every family can pay full tuition, while others certainly can. 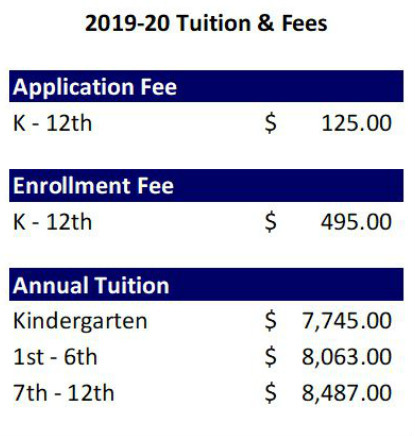 We have a gracious and fair process to determine the amount of tuition assistance we can offer families who apply for it.